Grace Memorial Gardens & Funeral Home offers several types of burial options to help you memorialize the lives of your loved ones for years to come. 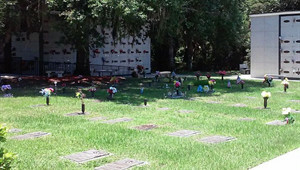 Having a permanent place - in a cemetery, mausoleum, or cremation garden - that can be visited regularly by family and friends is an essential part of the time following a death. It becomes a focal point of memorialization, and gives everyone a special place to go to remember your loved one, or to commemorate important occasions. A mausoleum is an above-ground structure constructed to hold one or more caskets or urns. It’s the perfect choice for people with an aversion to being buried in the earth. Grace Memorial Gardens & Funeral Home offers a wide variety of in-ground burial choices including individual, companion or family estates surrounded by the natural beauty of our gardens. Whether your family seeks traditional burial spaces, double depth or in ground cremation placement our gardens offer a multitude of individual selections to meet every family’s needs and budget. Grace Memorial Gardens offers several private family estates section: Lake Pond Estates, Circle of the Cross Estates, Mustang Estates and Shalom Estates. Each family estate will be beautifully landscaped and can easily accommodate both traditional and cremated burials. 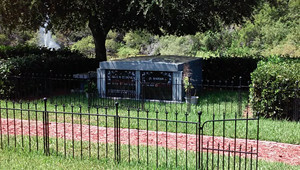 Grace Memorial Gardens offers a number of burial options including traditional, double depth,and cremation burials. 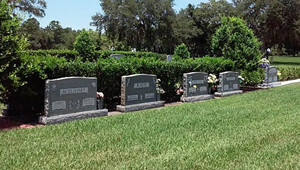 There are many memorial options allowing you to personalize your loved ones grave site. 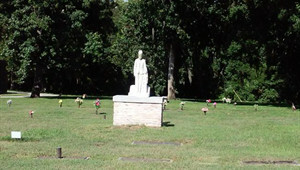 Grace Memorial offers upright monuments in the Garden Of Life. 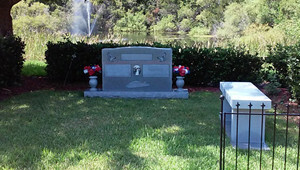 Upright monuments have long been seen as a prestigious way to honor your loved ones. These memorials can be as elaborate or simple as you desire. Grace Memorial Gardens offers the Garden of Prayer and Eternity Garden that are devoted to lawn crypts. These sites provide double depth lawn crypts, designed to provide a protected dry environment for the burial of loved ones. Today many families are opting for cremation allowing for memorialization at any time. Grace Memorial Gardens & Funeral Home offers a number of options for cremation including Memorial Book, columbarium, upright cremation singles and our beautiful cremation pedestals to fit your needs.